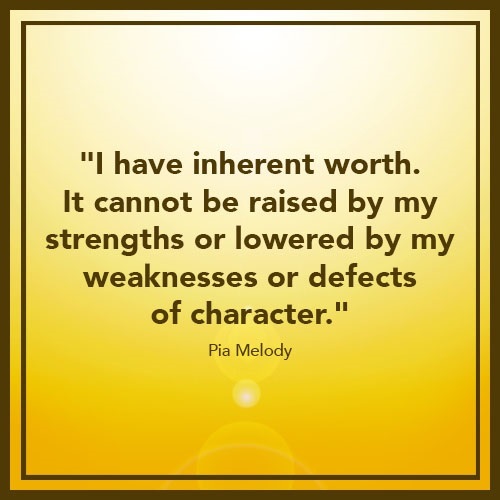 Inherent worth: the true thought that all persons have a built-in, never-needs-to-be-earned, quality of tremendous value. All people. Even those who are unjust to us. Even ourselves when we are feeling low. I think that no war (or major conflict in home or neighborhood or community) could ever start if those with the ammunition to inflict harm saw the inherent worth of those on the other side. But, unfortunately, in our imperfect world, and in societies that do not cultivate a deliberate sense of inherent worth of all, cruelties can be perpetrated, even in the name of fairness or “my rights.” The philosopher Blaise Pascal said that if he could prescribe one thing for the human race it would silence—so that we could listen to what is truly important. I think if I were asked that question, I would stay with silence and try to sneak in a second “thing”: the deep understanding that each person, even those who are cruel to us, have immense inherent worth. You guys seem to have a lot of knowledge about forgiveness. I am curious. How many hours a day do you spend on forgiveness and what do you read to attain this knowledge? Murphy, G. (2005). Forgiveness, self-respect, and the value of resentment. In E.L. Worthington (Ed. ), Handbook of Forgiveness. New York: Routledge (pp. 33-40). McNulty, J.K. (2011). The dark side of forgiveness: The tendency to forgive predicts continued psychological and physical aggression in marriage. Personality and Social Psychology Bulletin, 37, 770-783. We are also thinking about community-based forgiveness programs and we find this article helpful: Gibson, J. L. (2006). The contributions of truth to reconciliation. Journal of Conflict Resolution, 50, 409-432. Our reading list is ever changing and expanding. Added Note from the IFI Director: Dr. Forgiveness (aka Dr. Robert Enright) is the unquestioned pioneer in the scientific study of forgiveness. He has been called “the forgiveness trailblazer” by Time magazine and is often introduced as “the father of forgiveness research” because of his 25-year academic commitment to researching and implementing forgiveness programs. Dr. Enright is the author or editor of five books, and over 100 publications centered on social development and the psychology of forgiveness. He published the first social scientific journal article on person-to-person forgiveness and the first cross-cultural studies of interpersonal forgiveness. He also pioneered forgiveness therapy and developed an early intervention to promote forgiveness?? ?the 20-step “Process Model of Forgiving.” The Enright Forgiveness Inventory, now used by researchers around the world, is an objective measure of the degree to which one person forgives another who has hurt him or her deeply and unfairly. Los Angeles Times,? ?Yangon, Myanmar????? Maung Thura, a comedian known as Zarganar, spent 11 years in prison including five in solitary confinement for his open criticism of the repression he witnessed in Myanmar while the country was under military rule. Released in 2011 afte the military junta was dissolved, Zarganar now expresses forgiveness rather than rancor for his former captors. According to a variety of sources, Zarganar’s willingness to forgive ??? seemingly incomprehensible to many outsiders ??? is shared by thousands of dissidents and student leaders released from prisons or invited back to Myanmar, also known as Burma, after years in exile. This flexibility on both sides offers hope the country can move more quickly toward national reconciliation, avoiding a settling of scores and crippling divisions seen in other countries struggling to emerge from decades of totalitarian rule. One of my close relatives has a really bad habit. He says to me, “Please forgive me for this….” and then he proceeds to criticize me. How can a person forgive someone who pre-meditates meanness and then goes right ahead with it? I am finding it hard to forgive this kind of thing. I understand your frustration. The relative obviously knows this will hurt you, but then goes ahead anyway. It further is obvious that there is an intent to hurt, otherwise he or she would not ask you beforehand to forgive. Forgiveness is more difficult when we know that the other intended wrong. Yet, that is why we have this virtue: to offer goodness to others even in the face of injustice. Yours is a case of unambiguous injustice. Forgiveness would be a good idea under this circumstance, knowing it may take longer because of the intent to hurt. At the same time, please consider exercising the virtue of justice by talking with the relative about this pattern of asking for forgiveness before delivering a criticism. If he or she knows it is unjust, then restraining from delivering the criticism is in order. As you consider forgiving another, it is important to first review what it is you are and are not doing. You will not be waiting for an apology from the other. Your forgiveness is not dependent on anyone else’s attitudes or pronouncements. You are free to forgive when you are ready. You may or may not be reconciling with the person. That depends on how the other is now responding to you. You will not be putting justice aside, but instead allowing yourself to have the mercy of forgiveness and the fairness of justice. You will be offering goodness toward someone who has hurt you, but forgiveness will not make you a weak person through your effort. Mercy comes from a position of strength, not weakness. What do you recommend when someone is obviously mentally ill and they spread rumors about you to the family? I have a relative in another state who has been telling my nephews that I have a compulsive gambling problem. I have never gambled in my life. Do I forgive? I wonder because this relative does not seem to be doing something deliberately wrong, given the mental illness. Whether the intent is deliberate or not, the outcome is hurtful and so, yes, I think it is legitimate to forgive. Knowing that the person has a mental illness, and I do not want to venture a speculation about what it is, should make it easier to forgive. We have to keep in mind that even if a personality disorder of some kind is involved here, there still is free will at least to a degree. In other words, even with most mental illnesses the person can choose to express himself or herself in a variety of ways. For some reason, this relative has chosen condemnation and has chosen you. That is forgivable. 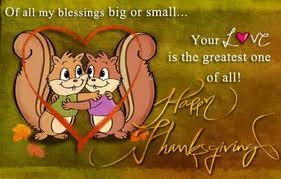 On Thursday, November 22, 2012, people in the United States celebrate the holiday of Thanksgiving. It is a time of fellowship and cultivating thankful hearts for loved ones. In the United States, the holiday goes back to 17th century celebrations in which settlers from England gave thanks to God for a bountiful harvest. I am aware that many who visit our website reside in other areas of the world in which Thanksgiving is not celebrated…..but let us not be hindered by such a little detail. On Thursday, regardless of your country of residence, may I suggest that we all cultivate a thankful heart toward at least one person who has wronged us, toward whom we may have some resentment and bitterness? I am not asking you to be thankful for the wrong-doing. Instead, I am asking you to see the person from a wide-angle lens. See him or her as a person, someone who is more than what was done to you. Try to see something good in the person, a kind act, or a loving word, or some small attempt at compassion toward another. See that goodness and be thankful that the person engaged in it. See the person as a person, capable of good will, as someone who can act unjustly and can show goodness even if the bad and the good are not evenly matched. Be thankful for the goodness that you see or remember and in being thankful for the act, be thankful for the person. I am thankful to each of you who will do this. You are making the world a better place by this little act of love.